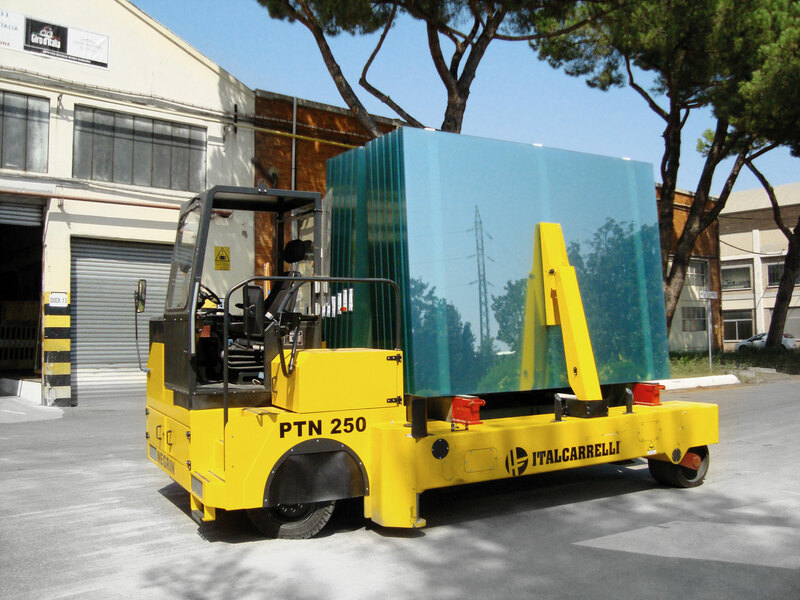 transporting glass on jumbo size stillages. 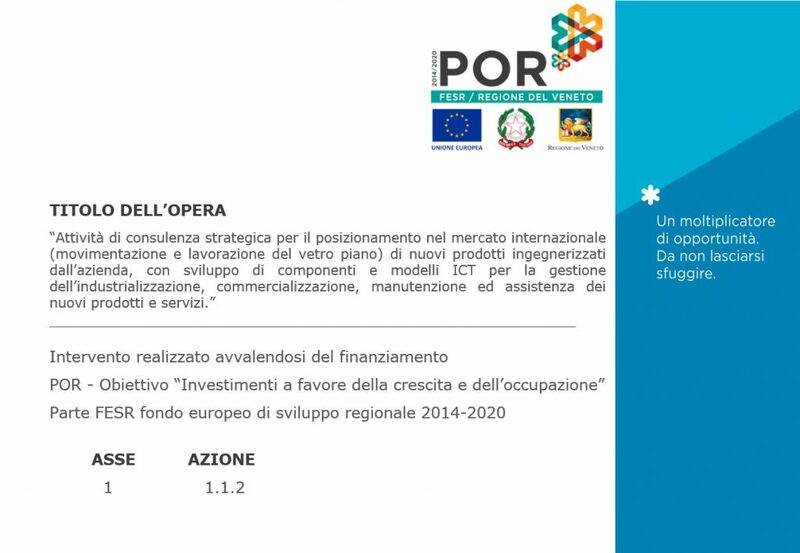 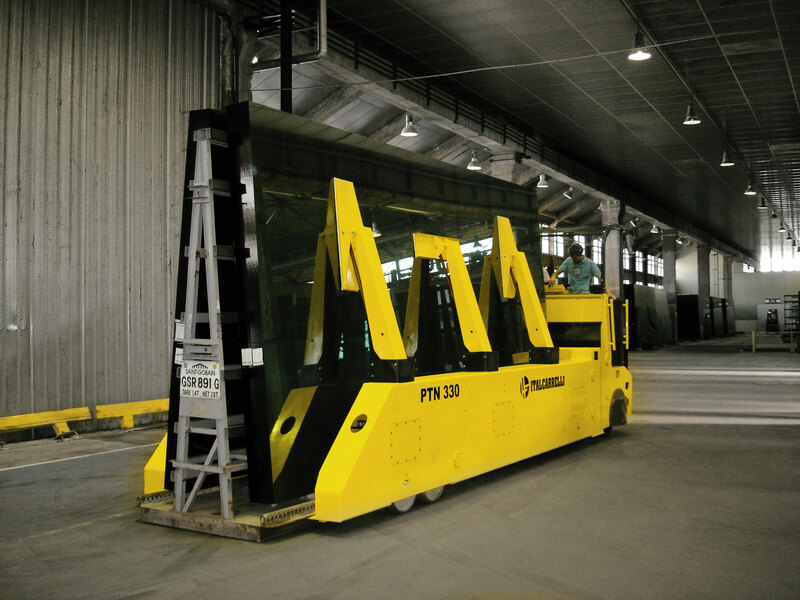 of glass industries and companies. 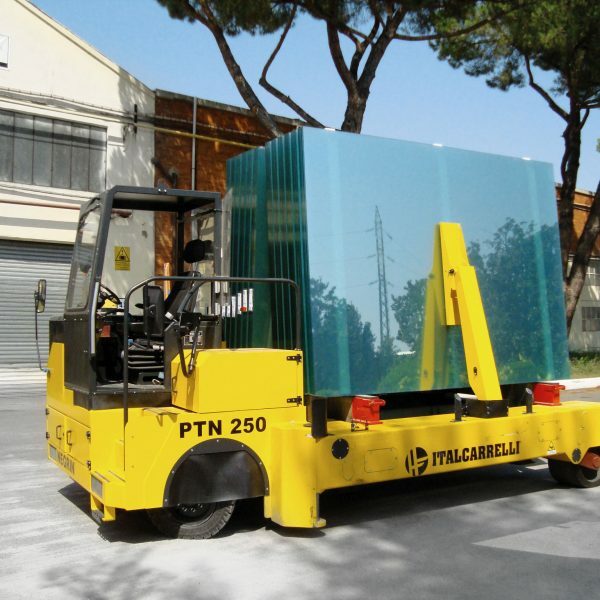 They are usually equipped with a 33 tons loading capacity; however, upon request, versions with a loading capacity of 45 tons and over can be made available, for example for transporting laminated glass. 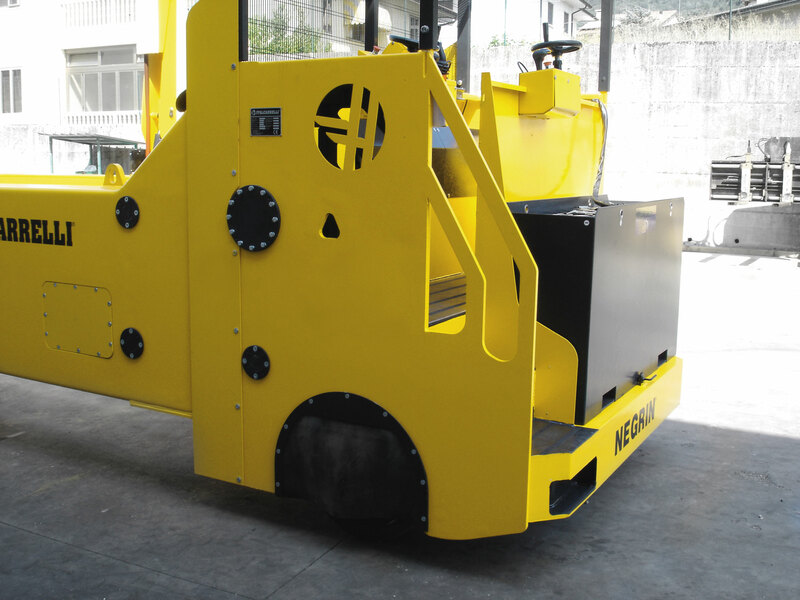 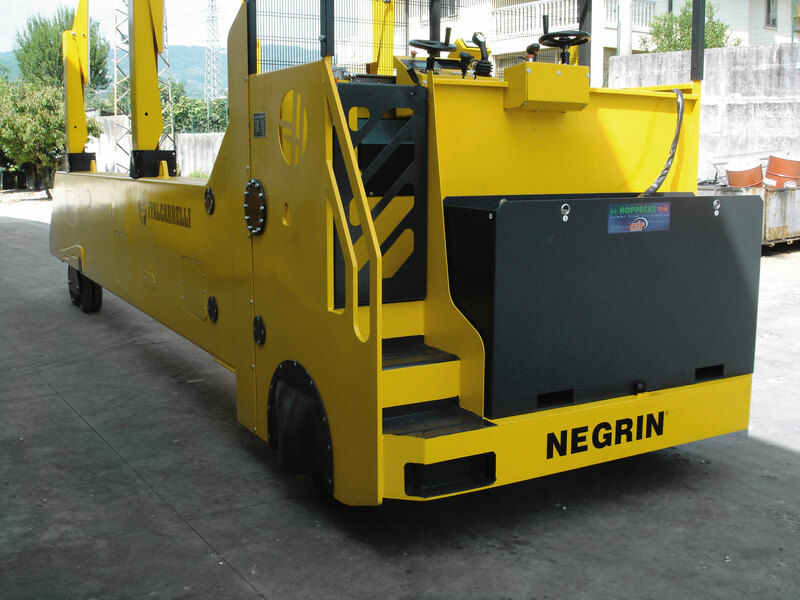 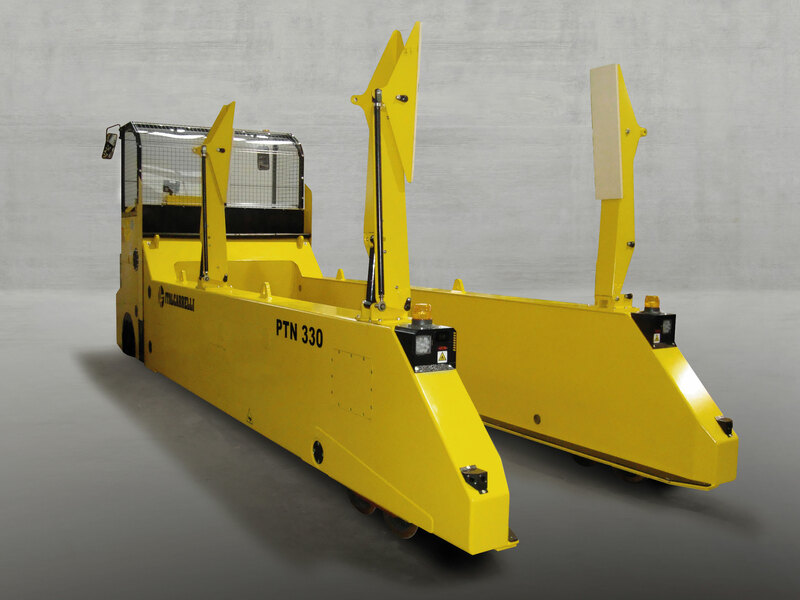 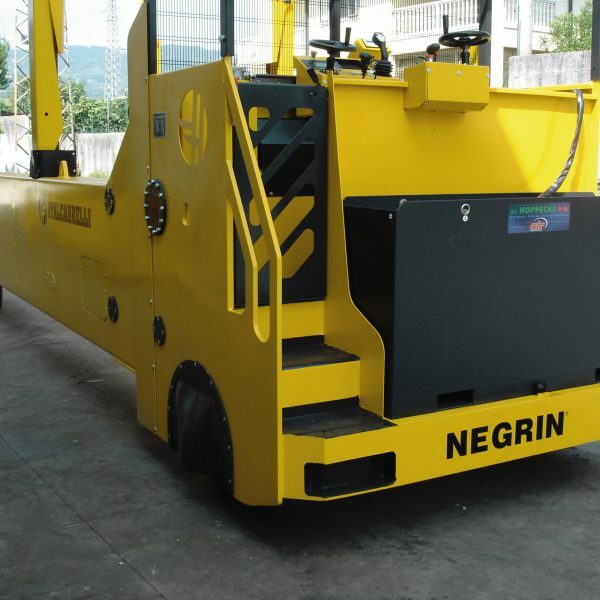 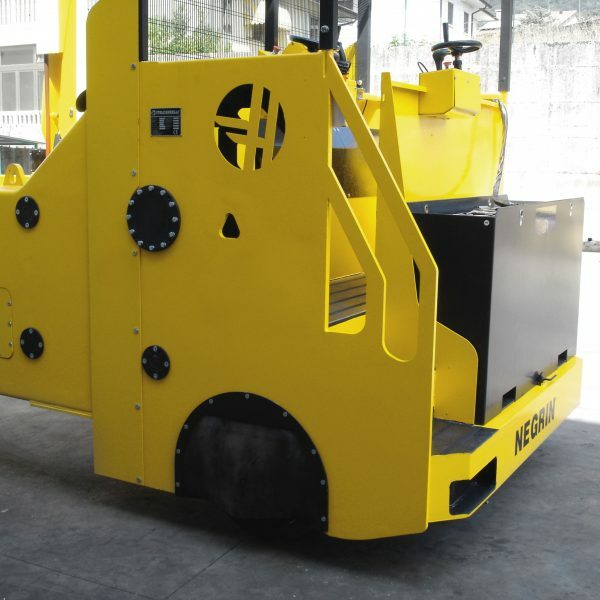 These machines are equipped with a lifting system developed by “Sicur-Lift” (Patent Pending), which assures a double mechanical and hydraulic safety. 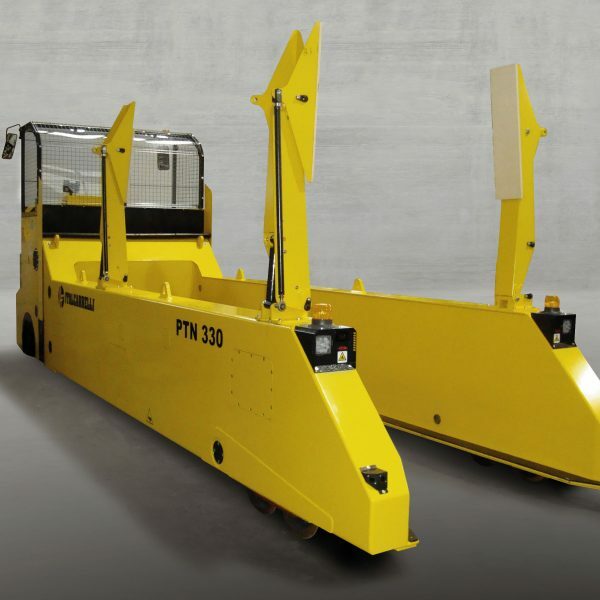 double controls for forward and reverse run; driving position with rotating seat in order to increase the visibility of the operator during the driving of the transport means. 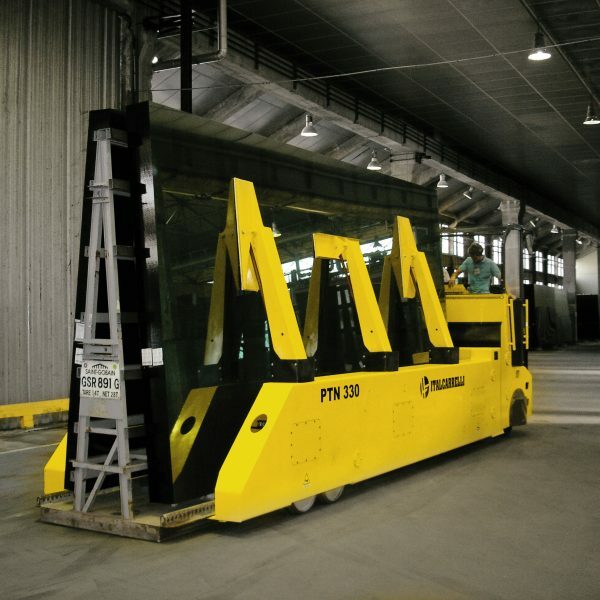 Optional devices are also available, such as the rain-proof cover, ultrasound sensors to slow down the machine automatically in presence of obstacles, video cameras, special equipment for fastening the glass on the rack; and systems to change the width of the loading profiles hydraulically in order to allow clamping of several types of racks.